Less then 48 hours. That is all that it took. 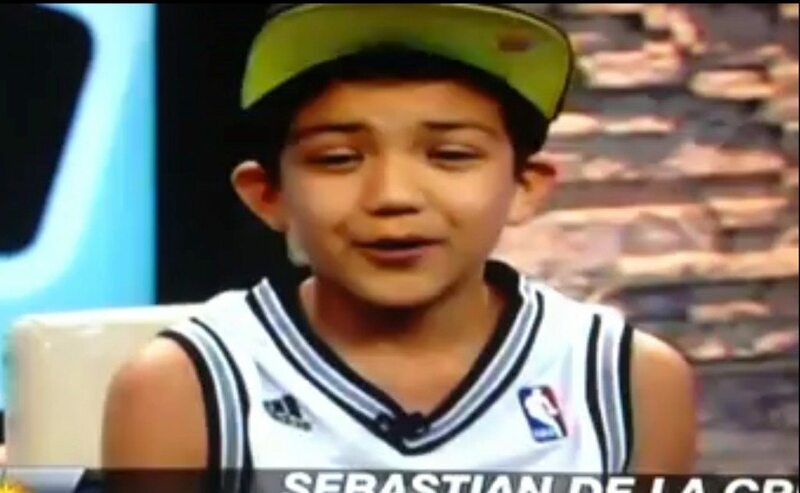 Tuesday afternoon, Sebastien de la Cruz was just one of millions of talented kids out there. He had gotten national attention last year on “America’s Got Talent,” but outside of San Antonio, not many people knew about him. By Thursday night, the Twitter profile of President Obama gave him a shout out. San Antonio mayor Julián Castro was reintroducing him to the world. He was trending on Twitter. National media had descended to scoop up the interviews. He had gone global. Welcome to the new media. The story had honesty and authenticity. It came from “the ground up.” Late Tuesday night, while I was monitoring the Latino Rebels Facebook site, we received three messages from fans and a post linking to the Public Shaming post. Within minutes of reading the Tumblr post, I instantly knew that this story would resonate with our incredible social media community, which is the most connected and most engaged group in the Latino media space today. This story evolved from the real feelings of people. That was it. This story spoke to relevant issues of identity and culture. It was an easy decision from our end to amplify the story, and the results proved it. In the past 48 hours, LatinoRebels.com amassed its highest level of web traffic ever. The response was so overwhelming that it crashed our web server three times. When we posted our first story early Wednesday morning, the story took off. Soon, the story was being linked by Colorlines, Reddit, Jezebel, HuffPost, Latina, Buzzfeed, CNN, Puerto Rico’s Vocero, and countless other links and online forums. LR takes pride in amplifying stories that originate from our community. Mission accomplished. San Antonio Spurs coach Gregg Popovich used the story to tell the truth about this country. Even though I am a huge Knicks fan and I still can’t get over what the Spurs did to my team in the 1999 NBA Finals, my respect for Popovich reached a new level when he said the following at a press conference yesterday before Game 4: “I would like to say that I would be shocked or surprised by the comments. But given the fact that there’s still a significant element of bigotry and racism in our nation, I’m not surprised. It still plagues us, obviously. And what I was surprised by was how proud these idiots are of their ignorance, by printing their names next to their comments. [Sebastien’s] a class act. Way more mature than most his age. And as much as those comments by the idiots sadden you about your country, he makes you feel that the future could be very bright.” In a world where anti-Latino racism is raw, Popovich’s words had to be said. Will we as a community continue to amplify other stories that matter? I can only hope that the reaction people generated online to support Sebastian can now turn to other stories that merit even more attention, like the case of boricua David Sal Silva (yes, Silva is half Puerto Rican), whose death at the hands of Kern County officers continues to go under the radar. If we as a community of engaged online Latinos can rally around the talent of an amazing boy, can we also do the same to share our outrage towards a death that was clearly condoned by law enforcement? Changing the paradigm about what it is to be Latino in this country right now must go beyond the feel-good celebration of a boy’s singing talents. We must approach stories like Silva’s with the same vigor and commitment as we did with Sebastian’s story. The future is indeed ours. Now let’s keep posting, tweeting, sharing, and commenting on it. To everyone who has read us, THANK YOU. Our latest web rankings today also pushed our Alexa ranking into the following numbers, making us one of the top (if not, the top) independently-owned Latino media websites in the US (and we won’t complain about our global ranking either). We are entering our last month before our one-year anniversary and we feel that 2012 will be another banner year. Crazy. So how do we feel today about our latest news? Hit it, House of Pain. As of tonight March 26, 2012, according to our Google Analytics, LatinoRebels.com has gotten over 176,000 unique vistors, with over 220,000 visits and over 317,000 pageviews. We still have about six weeks until we complete our first year online, and we feel that we are on target to complete over 250,000 uniques and 400,000 page views in our first year of existence. As of March 20, 2012, we have already exceeded our total 2011 traffic. In other words, all the traffic we got from May, 2011 until December 2011 (eight months), we exceeded that number in less than three months in 2012. We have experienced about a 240% increase in our traffic in the last two months, and this week alone (March 19-March 26) we have gotten over 15,000 unique visitors and over 25,099 pageviews. In addition, with just five days left in March, we are on target to achieving 100,000 pageviews and over 50,000 unique visitors. Spread over a year, that would come out to 1.2 million pageviews and 600,000 unique visitors. Those figures were just pipe dreams, now we are in the running to achieve that goal. Compete.com is another site we use, besides our own Google Analytics and WordPress stats and this is what they list the page at as of February, 2012. According to Compete.com, we say a 12.16% increase in unique visitors from January 2012 to February 2012 and we are currently ranked 181,304 in the world, having moved up another 29,254 slots up the rankings in just one month. In the meantime, our Facebook page is 75 people from hitting the 13,000 mark and tonight our engagement rate of 33.6%, meaning that 1/3 of our all Facebook community members have engaged us or have shared our content with their Facebook friends today. To all who have been there with us from the very beginning, thank you. This amazing growth took some luck but it also shows that if you write good content, stay true to yourself and independent, use social media and authentic networking and relationship-building to complement your page’s goal, and curate content that you feel matters to your community, you will attract interest. We will continue to be who we are, even if we just had one reader (or even if we had no readers). However, we are not going to lie about this: this feels pretty good. The Rebeldes thank you all! Independent journalism and content creation lives. We are proud to be Rebeldes.